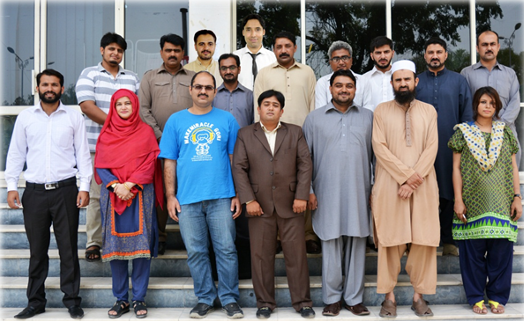 The department of Electrical Engineering, at Federal Urdu University of Arts, Science &Technology (FUUAST) started B.Sc. Electrical Engineering Program in 2004. The department of Electrical Engineering is one of the leading departments within the University with thriving 350 undergraduate students. The curriculum is continually under review, in line with the requirements of various regulatory authorities like Higher Education Commission (HEC) and Pakistan Engineering Council (PEC). The department of Electrical Engineering, at FUUAST, is one of the most prestigious departments in the field of Electrical Engineering in Pakistan. The graduates of the department are not only ably serving in Pakistan but also represent the country in various industries and academic institutions abroad. The Department aspires that its students be better prepared to handle modern-life challenges; explore technologies and systems for creating and using electrical energy in ways that do not impose a burden on the global environment. •	A candidate who has passed F.Sc. or Equivalent (Pre-Engineering with Physics, Chemistry and Mathematics) with at seat 60% marks. •	Diploma of Associate Engineer (Electrical, Electronics, Telecommunication, Avionics, instrumentation) securing at least 60% aggregate marks shall be eligible for admission against reserved seats. 1. MSEE students will have to study courses worth 24 credit hours. 2. MSEE students have to do compulsory research thesis worth 6 credit hours. 3. MSEE students have to take at least two courses from their area of specialization. B.Sc. (Electrical /Electronics/Telecom/ Computer/power) Engineering from PEC recognized program with at least 2.5/4.00 CGPA. Candidate will appear in departmental test and interview. Note: Candidates applying for MS program must have valid PEC No.